A full-blown crisis is still avoidable, but would require policymakers to take steps that they appear far from willing to take. The depreciation of the Turkish lira has intensified in recent days. This reflects central bank inaction, growing tensions with the US, and tighter US monetary policy. The new Turkish government, which does not include some more market-friendly ministers from its predecessor, is now being severely tested. 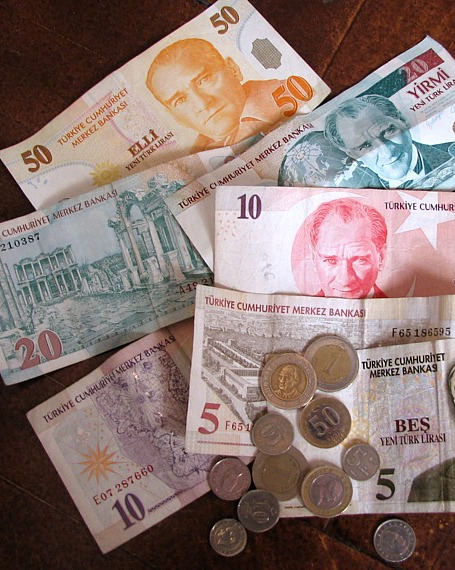 New measures to attempt to stabilise the lira are likely in the near term. The authorities still have it in their hands to stop the crisis, but it will require a combination of sharp monetary and fiscal tightening, as well as a change in tone from key figures in the government (including a calming of tensions with the US). Capital controls and an IMF programme are also possibilities, although less likely at this stage. In light of recent events, we will be making changes to our growth, inflation and exchange rate forecasts. Contagion to the rest of Central, East and Southeast Europe (CESEE) is a risk. Russian markets are already suffering (linked to a new set of US sanctions), while European banks exposed to Turkey could also face problems. A bad year for the Turkish lira has become significant worse in recent days, with the currency smashing through new all-time lows against both the US dollar and the euro. The lira fell to almost TRY7/EUR on August 10th, and on August 13th fell further before bouncing back somewhat in highly volatile trading. Turkey is now in the midst of a currency crisis. Turkey’s currency has been depreciating against the euro and dollar for many years, reflecting a combination of high inflation and persistent current account deficits. However, the increase in the pace of depreciation since the middle of this year has reflected three key factors. First, increased concern about political influence on the central bank to keep interest rates low despite higher inflation. In London in May, President Recep Tayyip Erdoğan reiterated his long-held view that higher interest rates cause higher inflation, and promised to take more direct control over monetary policy. This has spooked markets. Although the central bank did eventually hike policy aggressively in June in response to higher inflation, it has subsequently stayed on hold, even as inflation has surged higher and the currency has collapsed. The second issue for the currency market is the growing tension with the US. A deal to free an American pastor imprisoned in Turkey fell apart, and in response the US initiated sanctions on Turkey. Although the sanctions are currently at a low level, Mr Erdoğan has refused to back down, and appears willing to take on the US in an economic war. If he continues to pursue this line, the Turkish economy will suffer very badly. The third factor is the tightening of US monetary policy, and the gradual winding down by the US Federal Reserve of its balance sheet. As US rates rise, dollars are flowing back to the US from abroad. This has created issues for emerging markets such as Turkey which rely heavily on US dollar inflows to fund their current account deficits. So far, the policy response from the Turkish government has failed to calm markets. In fact, the perception that the government and central bank are badly behind the curve has probably exacerbated the lira sell-off. The central bank has taken some steps to ensure that Turkish lenders don’t run into liquidity problems in the near term, but this is clearly far from what will be required to halt the lira’s slide. Talk of a “plot” against Turkey by the president have certainly not helped market sentiment. A key issue from the market perspective is the new team put in place by Mr Erdoğan following the June election. Some key figures who were seen as both economically literate and capable of challenging the president have gone, and Mr Erdoğan’s son in law, Berat Albayrak, has been put in charge of a new more powerful Ministry of Finance and Treasury. This has increased fears about the competence of policymaking. Meanwhile under the new constitution, brought in after the election, the president has more power over the central bank, something that Mr Erdoğan promised before the election that he would use if he won. On August 12th, Mr Albayrak promised new measures soon to calm markets. A currency crisis of the scale currently seen in Turkey is not easy to stop. However, it remains the case that the authorities have it in their power to do so, although we are increasingly sceptical that they will do what is necessary. Several measures would help. First, a major increase in interest rates is certainly necessary at this stage. Market speculation about the scale of the hike that would be needed vary, but something in the range of 300-500 basis points would probably be the minimum according to market participants. Not only is there a need to respond adequately to the rise in inflation (and much bigger increase to come on the back of the lira collapse), a big hike is needed to send a message to the market that the central bank is serious. Second, some kind of fiscal package to rein in spending will be necessary. Turkey does not have a fiscal problem: deficits and public debt are low (this has been a long-standing feature of the AKP’s time in office). However, stimulus has been quite significant since the failed coup attempt of 2016. As part of a strategy to tighten policy and bring down inflation that is seen as credible by the market, a fiscal plan will be necessary. Third, a change in tone from the government is important. Talk of plots against Turkey will only further weaken market sentiment. A clear sign that the central bank is free to respond to inflation developments in line with the terms of its mandate (price stability) will be necessary. The return of more market-friendly ministers from the previous government—while probably very unlikely—would be a major positive. A calming of tensions with the US is vital. Beyond these measures, other moves are also possible, albeit unlikely at this stage. One is capital controls, although these have generally been resisted in the past (to an extent, they may already be in place informally). Given Turkey’s large reliance on foreign capital flows to finance its current account deficit, this would be hugely disruptive. A second is an IMF deal. While this would definitely improve market sentiment, the chances of Mr Erdoğan going for this option look very slim to us. In light of the recent events, all of our Turkey forecasts are under review. We were already more negative than consensus on growth, the fiscal balance, and the exchange rate, but these forecasts will all now become even more negative. Overall beyond this year we expect higher inflation, lower growth, and a weaker exchange rate than previously. The banking sector is now key to watch. Although this has generally been a strength of the Turkish economy, and asset quality and capital levels are good, this will not remain the case if the lira continues to weaken. We expect capital levels and asset quality to deteriorate quite rapidly. Beyond this year, everything depends on the type of action taken by policymakers. If the government does not undertake the required monetary and fiscal response to calm the market, then Turkey is heading for a crisis. That will mean a (potentially quite deep) recession, with the real estate and construction sectors likely to suffer particularly badly (these sector have undergone a boom in recent years, and have large amounts of FX debt, and limited FX revenue streams). We view Turkey’s growth potential in the 3.5-4% per year range, but if the government continues with the current sub-optimal policy, Turkey will probably not return to these levels of growth until 2020. If the crisis does go further, it may help in the medium run with a re-balancing of the Turkish economy. As we have long highlighted, the current growth model—which relies too much on consumption financing by foreign debt—is not sustainable. A weaker currency, which would reduce imports and stimulate exports, could help towards this rebalancing (although would not on its own be sufficient). For the rest of Europe, and indeed emerging markets globally, the implications are quite problematic. The main country affected so far appears to be Russia (which also faces new US sanctions). The rouble has weakened significantly in recent days. However, for Russia the situation is quite different to Turkey, given its much lower external exposure. A second issue is what happens to European banks involved in Turkey. Although most are experienced operators in emerging markets, and should be well provisioned, the scale of the lira sell-off will certainly create difficulties. The euro zone’s financial supervisor, the Single Supervisory Mechanism, certainly seems worried. More broadly, the Turkish case brings into focus a general issue in emerging markets, including in CESEE, which we looked at in more detail in our Spring Forecast. As we noted then, a decade of ultra-loose monetary policy by the Fed and other global central banks has pushed large amounts of foreign currency into emerging markets, leading to increases in external debt. Although Turkey is a particular case, it is far from the only country where corporates in particular have loaded up on foreign currency borrowing, meaning that other countries could also run into trouble as US rates rise.